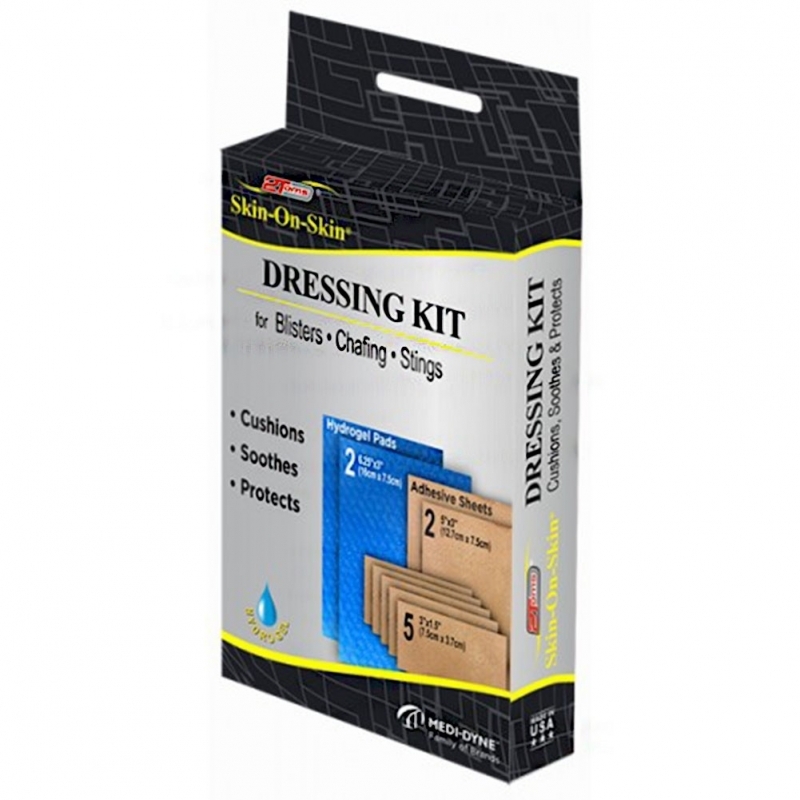 Skin-0n-Skin® Dressing Kit provides advanced cushioning, soothing relief, and long-lasting protection for blisters, chafing and minor skin irritations – second only to your own skin. Skin-On-Skin Hydrogel Pads (non-sterile) are made from pure water. These soft pads provide soothing relief on contact and protection from further irritation. 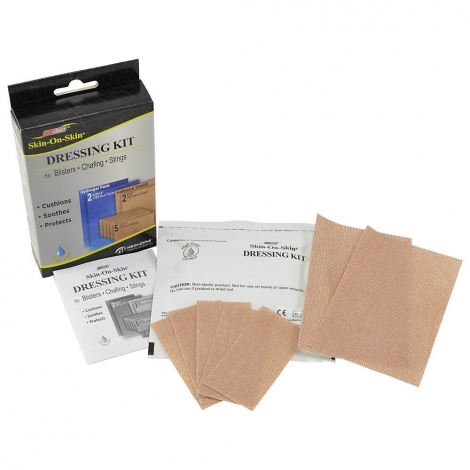 Skin-On-Skin Adhesive Shields ensure protection and secure placement of the hydrogel pads. Trim to fit any size needed, anywhere on your body. Breathable medical-grade adhesive moves with you for a comfortable, secure fit. Soothing hydrogel alleviates pain and aids the healing process on contact. Soft, moist, pads contain durable micro-mesh for long-lasting support. Breathable, medical-grade adhesive shield moves with you to ensure protection while securing placement of the hydrogel cushion. Comfortably fits securely against your skin. Each Hydrodel Pad and Adhesive Shield is designed for Single Use Only. Remove a single Skin-on-Skin Hydrogel Pad from package. Cut pad to desired size. Cut the Skin-on-Skin Adhesive Shield to a size large enough to cover the Skin-on-Skin Hydrogel Pad. Remove blue film from Skin-on-Skin Hydrogel Pad and gently place on the area to be protected. Peel the paper from the Skin-on-Skin Adhesive Shield and apply the adhesive side on your skin directly over the Skin-on-Skin Hydrogel Pad. Change daily or more often as needed. 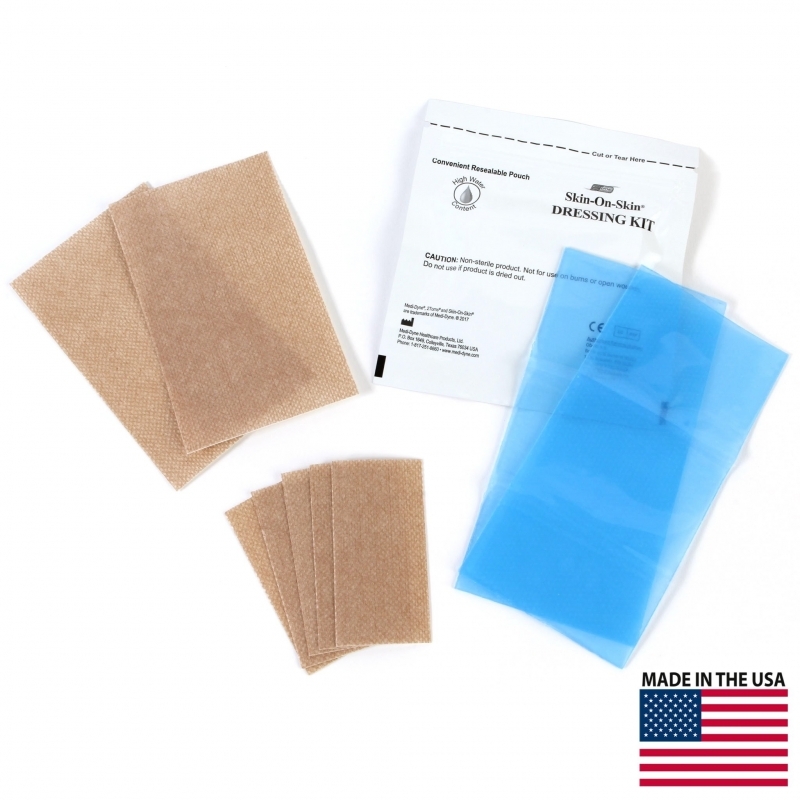 Reseal the package with unused materials to maintain the integrity of the hydrogel pads for future use.